AC Maintenance: Get it Over With! | Atlantic Refrigeration and Air Conditioning, Inc. When you boil it all down, maintenance is all about maximizing your savings against the inevitable costs. Buying and installing the AC is one cost, but that’s just the beginning. You’ll also have to pay for any repair costs that might arise (we’ve yet to find an AC that doesn’t have at least one issue in its lifetime). And then, it will eventually need to be replaced. And throughout all that time, it will cost a certain amount to supply power to it. In other words, you won’t be able to avoid spending money on your AC. What maintenance helps you do is lower that cost as much as possible. The cost of maintenance will easily be paid off by the cost-benefits it provides, such as reducing the chances of debilitating repair issues and keeping efficiency as high as possible. The sooner you start up the good habit of regular maintenance, the more you’ll be able to put toward a brand-new unit down the line. Priority service: Regardless of when you need service, priority service means that you’re always bumped to the top of the list. No need to wait for hours—or even days—in the heat. Discounted parts: The cost of replacing a part can make all the difference in your final repair bill. Instead of being hit with a costly surprise, you can significantly soften the blow by signing up for a plan that discounts parts. Discounted labor and service: The service fees are often what add up the quickest during a repair job. A good maintenance program will shave off some of these fees with a nice discount. The best time to get maintenance for your air conditioning in Maryland is right before you plan to start using it—usually, that’s just before summer. However, you can also be more clever and schedule maintenance in the off-season. This will ensure that your AC is primed and ready to go long before it’s needed, nor will you have to sit in the heat waiting for maintenance. 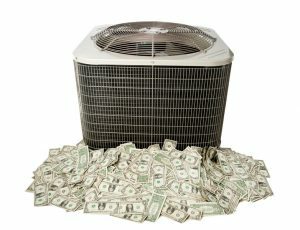 Contact Atlantic Refrigeration & Air Conditioning, Inc. today to schedule a maintenance visit.